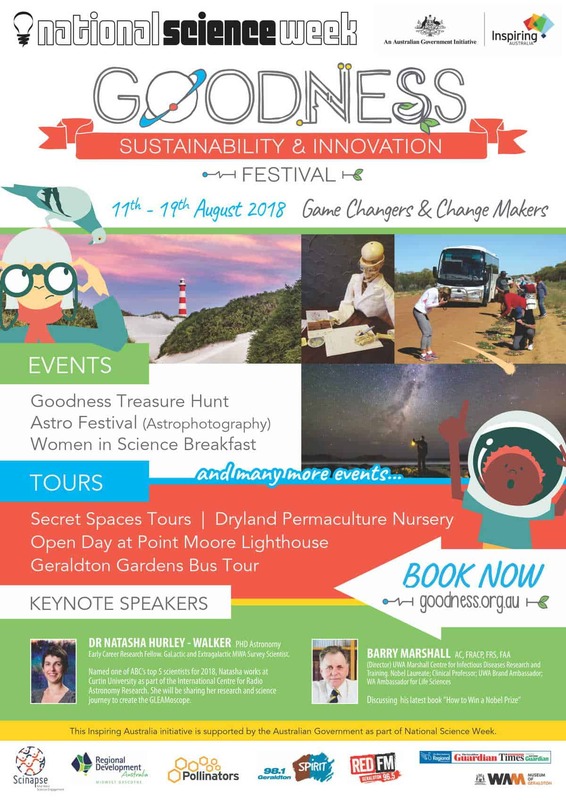 The Mid West has some pretty exciting news (drum roll please)… One of ABC’s Top 5 Scientists of 2018 Dr Natasha Hurley-Walker, and Nobel Prize winner Professor Barry Marshall will both be getting involved with Goodness Festival 2018! Catch Natasha at the John Willcock STEM Fair and the Women in Science breakfast as she shares her science journey and latest research. Professor Marshall will hold a skype session in Geraldton on the Tuesday 14th August from 10:30am-11:30am which will consist of a short Q&A on his latest book “How to Win a Nobel Prize” which is aimed at kids. Natasha is an astronomer who uses radio waves to explore the distant reaches of the Universe. 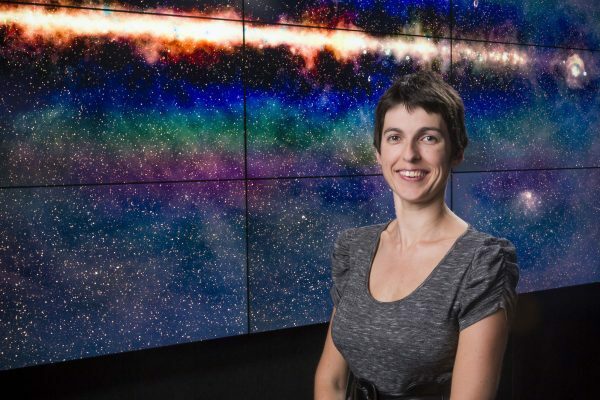 She obtained her PhD from the University of Cambridge in 2010, and moved to Australia in 2011 to help commission a cutting-edge radio telescope that is a precursor to the much larger Square Kilometer Array. Her latest achievement is using this telescope to survey the whole sky, providing masses of data on exploded stars, super-massive black holes, and our local space environment. Communicating this research to the astronomy community and the public is important to Natasha, so she created the GLEAMoscope (an interactive viewer allowing anyone in the world to see the sky in radio colour). Her TED talk discussing her research has drawn over one million views. 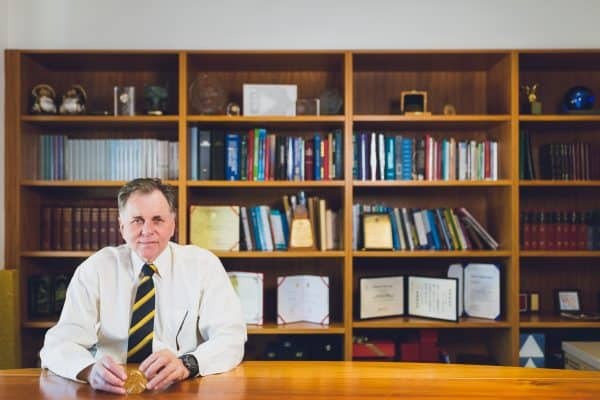 Professor Barry Marshall (Director) of the UWA Marshall Centre for Infectious Diseases Research and Training Nobel Laureate; Clinical Professor; UWA Brand Ambassador; WA Ambassador for Life Sciences, was born in Kalgoorlie in 1951. Marshall gained his undergraduate medical degree at the University of Western Australia in 1974. He then completed his internship and residency years at the Queen Elizabeth II Medical Centre before moving to Royal Perth Hospital (RPH) where, in 1981 during a gastroenterology rotation, he met Dr Robin Warren. Marshall began to work with Warren studying bacteria in the stomach. In 1984 he was able to prove that H. pylori infections caused peptic ulcers and it is for this body of work that Marshall and Warren were awarded the Nobel Prize in 2005.